Yamaha is one of the most popular brands in the musical instrument world. It is well-known for producing high-quality keyboards that comes with great acoustic sounds and a good number of excellent features. With that, however, the keyboards are made to offer different features and fit different needs. 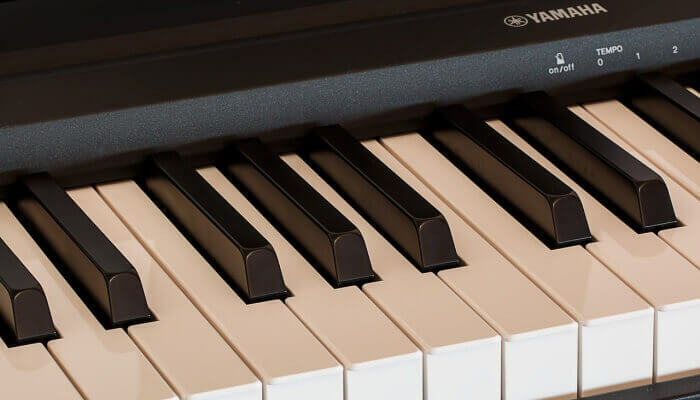 In this post, we are going to take a look at some of the best Yamaha keyboards that you can buy. We will have a look at the Yamaha keyboard reviews and a buying guide that will help you decide what keyboard will fit you the best. So, What Is The Best Yamaha Keyboard? Yamaha keyboards come with different series that are there to fit different needs, skill level, and budget. Yamaha YPG – it’s a grand keyboard that comes with 76 and 88 keys. Yamaha DGX – grand keyboard comes with 76 and 88 keys. Yamaha EZ – great for kids, comes with light keys. Yamaha PSR – it is a 61 key arranger keyboard with only beginner and intermediate level keyboards. Yamaha YPT – a 61 key arranger keyboard with several ethnic styles and voices. Yamaha synthesizers – this is a music production and synthesizer. Yamaha digital pianos – stage pianos, home and practice pianos. Now, after knowing different Yamaha keyboards series, you can get the idea of how different keyboards will fit different needs for different players. Ask any musician who has been playing for years, Yamaha would undoubtedly be one of the brands he/she would consider when buying a music instrument. For a long, time Yamaha has been associated with instruments that are of high quality and those that can impress to any player. On keyboards, Yamaha has been very popular among beginners and experienced musicians. There are many reasons why music fanatics and instructors buy and recommend the Yamaha keyboards. From affordability to realistic performance, here are a few reasons why you should invest on a Yamaha keyboard. They have a range of keyboard instruments that comes with excellent sound, unique features, and robust design. All this plays a significant role towards their popularity and the brand value. If you are an experienced musician who is in need of a keyboard with acoustic sounds, you can easily get this from Yamaha. You will find keyboards with the best orchestra sounds so if you are used to great sounds or makes much classical music, you will love the keyboards. Yamaha is a good brand and there is no doubt about that, but still, there are also other manufacturers that make quality keyboards as well. They got various factors that can impress the buyers such as price, sound quality and so on. However, Yamaha has tried to stay ahead of the competition by ensuring that they produce latest technology keyboards that can offer value to the players. If you are looking for a high-end electronic keyboard, Yamaha will give you a combination of value, look, and quality. You get not only excellent sound but also the look of a grand. So if the style is your concern, you can demand that from Yamaha keyboard along with build quality and sound. Yamaha takes pride in manufacturing perfect and well-fitted keyboards that can last for a very long time. When coming up with the best Yamaha keyboards, we consider the quality of its construction, and we came up with keyboards that are solid in quality, sound projections, and handling. If you select one of the keyboards in our review, you will find out that they have excellent craftsmanship and is durable in design. The key action and sound quality are some of the significant features that determine the superiority and overall performance of any keyboard. Now, if you are going for a good Yamaha keyboard, must put some extra eye in this area. You can easily find a good keyboard with excellent key functionality that can perfectly fit your needs. Another reason why you must go with a Yamaha keyboard is that they always come with additional features. You will always find something that will excite you with a Yamaha keyboard, and that will make your playing very appealing and enjoyable. Even with Yamaha keyboards, understanding the what type of keyboard is intended for what purpose can be a bit confusing. With so many products in each keyboard series, it is essential to have a clear understanding of what you are shopping for before we even stat Yamaha keyboard reviews. These are keyboards that are intended mostly to produce sounds. Most of the synthesizers are sample based whereby they use prerecorded sounds centrally to the analog synths that manipulates the electric signals to generate sounds. If you are looking for a keyboard to make music, you should always define your needs before shopping for a synthesizer. There are different synthesizers from Yamaha that fit different styles, skill level, and budgets. A keyboard player in a metal band, for example, will need a different synthesizer from a player in a country music band. Therefore, you should always go for a synthesizer that will give you the features and fit your needs. A workstation is mostly known for simplifying the recording, composing, and in music production. With most workstations, you can get great features like audio recording, multitrack recording, CD writers, etc. When choosing a good Yamaha workstation, it is good to make sure that there is the provision of enough polyphony that handles the recorded passages and playing. The more unit you can get from the workstation the more you will be able to get from it. You can get Yamaha workstations that will give you the necessary features you need whether you are experienced, or beginner. However, even with the beginner workstation, you might be a bit confused, and that’s why you need the next category. This can be termed as a songwriting partner because of the number of the available features that enhances the songwriting processes. It is sometimes referred as a band in a box where it offers the sequence tools and sounds that can flesh out the idea to create a complete song. While most of the arrangers might lack great sound engines, the Yamaha has quite a number that provides excellent sounds and features that will help you in composing and live performance. Generally, the portable keyboards are suitable for beginners. They have sequencing functions that are more basic than the arrangers, and most of them include the learning functions that help the beginner player around the keyboard sequence. For beginners, the portable keyboards can be a right place to start when learning or experimenting. You can easily carry it around to have it with you every time you feel like learning or having fun. Digital pianos can be divided into two categories, the console and stage pianos. 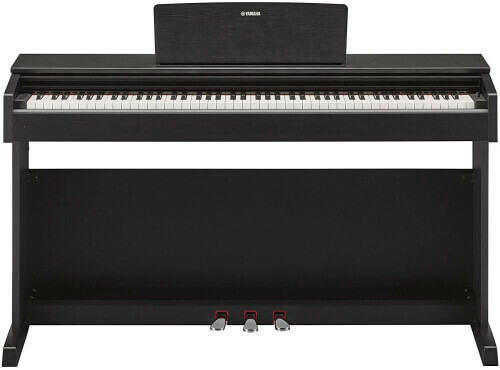 This two categories mainly differs from their intended use where the digital console piano is intended for use in homes while the stage piano is for stage performance. You can quickly tell the difference just by looking at the exterior designs because many of them share the same electronic sounds and features. In the Yamaha digital piano series, you will find both categories whereby you can go for either home or stage performances. Commonly known as Electone, the Yamaha electronic organs are mostly designed based on the spinet electronic organs. They are entirely digitalized and comprise different effects, sounds, and accompaniment. They also can store programming data onto memory devices. Keyboard controllers come with various features including the control wind drum pads, keys, and knobs. When selecting a good keyboard controller, you must consider what you are about to control, for instance, if most of the work you are going to do with the controller is synth work, you can go for a keyboard controller with the keyboard style you prefer. Consequently, you should go for a keyboard controller with the preferred choices those that will assist you in your needs. Although there are many quality keyboards in Yamaha brands, you need a keyboard that will fit your requirements and skills. The first thing to do to understand the best Yamaha keyboard models that will meet your requirements is to consider various factors like your age, experience, interests, budget, style and so on. If I can understand the needs of every one of you, that would be a better place to start. However, that is not possible at the moment. For this, we have come up with a list that even though it’s not addressing directly to you, one of the pieces in this article will benefit you. If you are buying a keyboard for beginners; let’s say you are looking for the best Yamaha keyboard for kids, what should you go for? When choosing a keyboard as for a beginner, it is better to go for a cheaper option. Why? Well, you don’t know if you will still be interested in playing for years to come. Unless money is not a problem, you don’t need to go for a keyboard that will be kept on a store to collect dust without anyone to play it. On top of that, there are other things to be considered too before making a decision. Here are our best picks for the best Yamaha keyboard under $300 that you can get for a beginner. Several options available that can provide quality to children under the age of 10, but our best pick is the Yamaha EZ-220. This is a fun keyboard, and for the child of that age, music should be sort of fun to encourage learning. The lighted keyboard can be very encouraging to the child where he/she can follow the lighted keys and play songs. The EZ-220 also comes at a considerable price where it sells for about $300 plus headphones and a stand. The price can even go lower depending on the outlet you are getting it from. It comes with touch sensitive keys that respond on how fast or slow you strike the keys. This is one of its most significant advantages compared to entry keyboards on the range making it the best Yamaha keyboard for beginners. Another advantage is that it comes with Yamaha Education Suite that will help you during the practice. This is a keyboard that you should choose if you want to train your finger to play weighted keys. It comes with 88 standard keys and a realistic acoustic sound which makes it ideal for practicing for the acoustic piano. It has a metronome function that helps you to keep time as you run through the scales. Additionally, you can use the transpose feature to practice on difficult passages before you return to the original key. It comes with a bench, stand, educational materials and even headphones for private practices. It also has split modes that you can practice hand in hand with your teacher. In general, the P-45 comes with all the essentials that you can need as a beginner. Moreover, if you are in need of the best Yamaha weighted keyboard for beginners, the P-45 is the way to go. The Yamaha PSR-E453 is an excellent keyboard for beginners and those who have a little experience in playing a keyboard. This keyboard comes with extra features that assist you in your playing, and it is better compared to the beginner keyboard. Its features include the DJ Pattern mode, live control Knob, and USB to device connectivity. This is mostly not a beginner keyboard, but still, it’s not a pro keyboard either. It is very beneficial for intermediate level players and songwriters who are in need of a good style and sounds. This is one of the best music keyboards in the market suitable for intermediate players. It is similar to the PSR-E453 but has 76 keys rather than the 61 in the previous model. Its keys are touch responsive and also includes a few professional features. Even though it is not the best Yamaha portable keyboard, it is quite compact and can be used for gigs. With everything there is in the Yamaha keyboards, I can tell you for sure that the DGX-660 is one of the best sounding Yamaha keyboards in the Yamaha intermediary level keyboards. It comes with a variety of interactive features that enables learning and playing fun for everyone. The DGX-660 is well known for their versatility whereby you can even connect a microphone to the instrument so you can sing along when playing and listen to yourself on the inbuilt speakers. It also has connectivity features like USB where you can record and share your playing. With so many features, the DGX-660 is probably the best value Yamaha keyboard and definitely one of the best Yamaha keyboards under $1000. This keyboard comes with all the qualities and features that makes Yamaha one the greatest keyboard producer. The YPD-143 comes with features that you will find in the P-series, for instance, a pure CF engine that gives the dynamic and impressive playing. Another feature is the graded hammer action where the keys are heavier on the low, and lighter on the high keys. It also has 50 in-built songs that you can find in the music book accompanied by the model. Overall, the keyboard is one of the best Yamaha 88 key keyboards, and every expert can appreciate every one of its features. You can achieve more grand piano experience, for instance, attaining subtle and nuanced playing experience when you are playing using features like half damper. Talking of keyboards, the Montage 8 is one of the best Yamaha keyboard synthesizer that you can get out there. It won the MusicTech Gold Award as the best hardware instrument in the year 2016. It has a fully weighted hammer action keys that are very exciting to play and comes with two inbuilt sound engines that you can play separately or in conjunction. This makes it one of the most potent keyboards and of course one of the best workstations in the market. The synthesizer comes with a combination of FM-X (pure modern Frequency modulation) and AWM2 (high-quality waveform and synthesis) allowing you to enjoy 128 polyphony and take control of a collection of exciting sounds. This synthesizer has so many features that make it the top-rated Yamaha keyboard. It has many features like 88 algorithms, and you can use dual Insert FX in all the 16 parts. The list doesn’t end there, you can have complete control of your sound, and it can provide expert musicians with everything they need to create an entire track. The next-gen motif XF is built on decade heritage of Motif and initiates the flash memory expansion capabilities setting standards for all the workstation in years to come. The keyboard is loaded with 741 MB Wave ROM that includes excellent realistic pianos and acoustic instruments, hip-hop sounds and vintage synths. The keyboard comes with architecture XSpanded articulation and different filter types that will allow you to create a sound the way you want it to be. It also comes with differ front panel knobs and sliders making it easier to control the sounds in real time. There is over 1600 voices and 97 drum kits so every sound that you need will be at your fingertips. With all these features, the Yamaha Motif XF7 makes it in the list as one of best Yamaha keyboard for church and other significant performances. Now, choosing the best Yamaha keyboards will be easy, especially if you have understood everything on the post. You can easily find a keyboard of your choice whether you are a beginner, intermediate or experienced in our Yamaha keyboard comparison. Even though you are not sure of continuing to play a keyboard or you need it for fun, you will find a good Yamaha keyboard that will offer exactly that. Even though we might not have touched every need of yours, you can be assured to find your ‘perfect match’ in one of the series. The series comes with a number keyboards that have diverse features and characteristics that you can make a choice that will fit your quality and price requirement. Generally, a Yamaha keyboard is worth investing if you are looking for a musical instrument that will not disappoint you. Whether the budget or features are the ones dictating your choice, you will find a good fit for you. Either way, we believe you will find a good Yamaha keyboard for yourself.